When it comes to drugs- censorship doesn’t work. Time to try a new tact..
“I was going to get a bag of coke and a fistfull of yokes tonight and get mad out of it, but now that a person of authority says they’re bad for me I won’t bother,” said no one ever. When Sigmund Freud, who was responsible for turning cocaine into a recreational pharmaceutical in the late 1800s, established that snorting industrial lines of the stuff probably wasn’t such a good idea and didn’t just bring ‘gorgeous excitement,’ ‘exhilaration and lasting euphoria’, this inconvenient truth has been been widely accepted. Over 100 years and a global illegal status later, we still know drugs are bad, yet despite the risks and the penalties, demand is higher than ever and according to a report by Global Financial Integrity, the global market is worth over €600 billion. In Ireland, 3 out of 10 people aged between 15 and 64 have used illicit drugs in their lifetime. So what do you do? Tell people to stop taking drugs? Imprison them? Tell their ma? Line them up and shoot them? As Filipino dictator President Rodrigo Duterte may have come to realise, even if you execute anyone who comes within a five mile radius of drugs, you still won’t get a handle on the problem. He took office in June 2016, insisting the the unrelenting war on narcotics will be won within six months. He’s pushed his deadline out to 2022. Over 5,000 people were killed in his first year in power, gunned down brutally on streets or in barber shops, at family gatherings, wherever. But still the problem hasn’t gone away. The moral of the story is – you can’t win the war on drugs. So let’s just accept that people will take drugs regardless and perhaps deal with the issue in a more adult fashion. 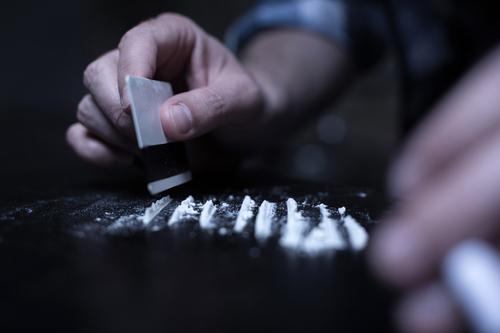 Irish people are the fourth biggest consumers of cocaine in Europe, with cocaine related deaths increasing by 110 percent between 2010 and 2015, from 21 to 44. In light of this, the HSE and and Ana Liffey have addressed the issue with it new harm reduction campaign with the hashtag #doyouusecocaine. The campaign posters which target crack cocaine and cocaine users specifically suggest taking small test doses and leaving at least two hours between use, grinding cocaine to remove clumps, using your own sterile straw, never sharing straws etc. Its a good start. Only a moron would think this is a bad tact. It’s vital to remove the criminal aspect from drug users and not infantilizing them. Other advice includes not being left alone at festivals while high, not mixing cocaine with alcohol or carrying a condom in case you get horny. Taking into account we have an Irish audience, the chances of not drinking when snorting cocaine, is pretty slim. The HSE also suggest knowing your source. I’d be a little cautious of this one- like what source? The farmer in darkest Peru who picked the coca leaves or the guy with the mixing agent who turned it into powder? Or the mule who brought it back? The cartel members? Or the guy who picked it up on speedboat of the coast of Kerry? I think what they mean is get a reliable source, so they know the dealer isn’t mixing it with cement powder. It’s a difficult one to get around. So there should be voluntary drug testing facilities at clubs and people should be able to buy testing kits easily. This is something young people would get into bed with. Censorship doesn’t work. Education does. Most people who take drugs don’t want to take some nasty mixing agent like laundry detergent, laxatives, boric acid, crushed up malaria pills which could make them feel crap, so if testing facilities were there, people would use them. In the UK, where The Loop, a harm reduction voluntary organisation have successfully tested drugs at festivals and people have handed their drugs back. That wouldn’t’ happen in any other scenario. This needs to happen in Ireland. It saves lives. Its that simple. Drug information needs to be everywhere where like festivals and pub toilets. People need to know what they can or can’t mix. For example, if you take cocaine, don’t take valium, it can bring your heart rate down and kill you. There has to be a similar campaign about ecstasy and MDMA, which is more popular amongst younger people. People don’t take drugs to be cool or piss anyone, they take them because they want to have a good time not out of some personal vendetta to an offended person who has never taken drugs. Accept them, Teach people, get outside drug testing facilities and decriminlase personal use of drugs. Look at the Portuguese experiment, where drugs were decriminialised in 2001 and drug deaths are 3 out of a million, in the UK its 44 per million. Do the maths. The campaign has been up for criticism by people who have no idea whats going on in the world, and have no other ideas themselves, so ignore them and keep going. In the meantime, people who do chose to take drugs. Read the posters. Take drugs safely before they take you.